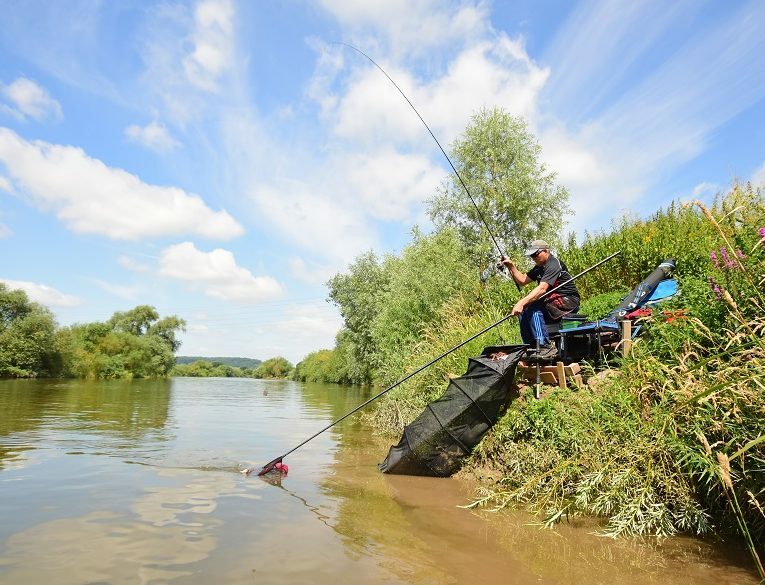 Big rivers and tidal stretches aren’t just for the barbel fishing boys…top matchman, Ian Didcote reveals his secrets to tidal feeder fishing success…. Tidal rivers can be daunting but productive if you get it right..
Britain’s tidal rivers are much neglected either through anglers’ fear or trepidation of tackling a big river. The mere sight of one of these large powerful-flowing stretches will often see the faint-hearted running to their cars, before heading up-stream to a perceived-to-be easier non-tidal stretch. But, one thing is for certain, to disregard these stretches is to forfeit some truly great fishing. The fish populace in tidal rivers are not only prolific; there are some huge specimens to be had, including massive barbel, carp well into double-figures, masses of silverfish and some enormous bream shoals, all you have to do is summon the guts to fish for them and make sure you have the right bait and tackle. Ian spent the day fishing on the Bankside Tackle-controlled stretch on the Severn, just upstream of the Red Lion pub on Wainlode Lane, Gloucester. This length is renowned for its big bream shoals, head of monster predators – the current British record zander having been caught a few miles upstream – and large carp. 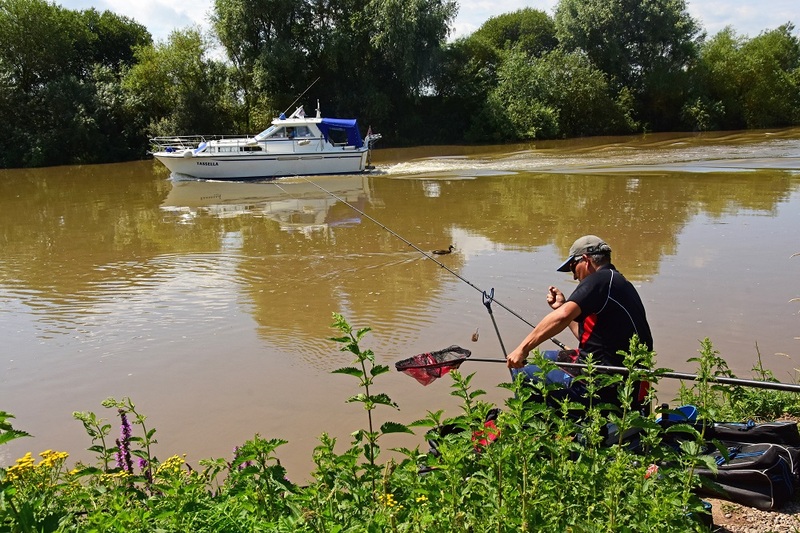 Although the Severn has always been known as a barbel river, here on the tidal, there are fewer barbel, but those that are here are usually, in Ian’s words ‘Barney Rubbles’ (doubles in layman’s terms). The 41-year-old match ace reckons that along this area there is more chance of catching a carp than a barbel. “There are 100’s of them along here and for river carp, they are relatively easy to catch too,” Ian said. For the more match-oriented angler, the bream shoals have to be seen to be believed. The generally average 5lb to 7lb, with bags close to 100lb being quite common. Although, bream being bream, you need to track down the shoals to get a big weight, but once found, it is as easy as shelling peas as long as you keep the bait going in! As well as the phenomenal fishing, the thing that Ian loves about the tidal is that it is a living, breathing thing. A big, powerful tidal stretch like this is a totally different beast to its non-tidal cousin. And, being tidal, you need to be mindful of this fact. There is no need to fear it, but these can be dangerous places if not treated with respect. “When I’m working in the shop, a lot of anglers comment how high off the water the swims have been cut,” Ian continued. “The reason for this is that that as the tide floods and ebbs, the river’s level rises and falls and here on the Severn, this can happen very quickly. Take today’s session for example. As it was a big tide (9.8m), the river’s come up around four-feet in just under two-hours before it leveled out and started to recede. 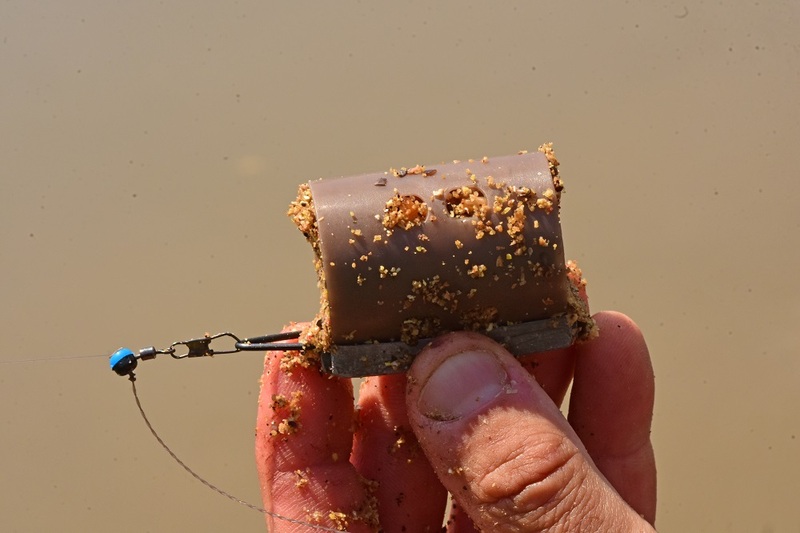 Most anglers can’t get their heads around this. The fact that within the space of an hour the flow can go from a jogging-paced speed, flowing left to right, to the same speed right to left is difficult to come to terms with, but that’s tidal rivers for you!” When the river is really flooding (tide coming in), Ian quite often stops fishing for a while as quite often there is so much detritus being carried in the flow, it is too difficult to fish correctly. But, once the river has leveled out, he will start fishing again. Targeting the river’s silverfish, Ian’s main loosefeed was groundbait. 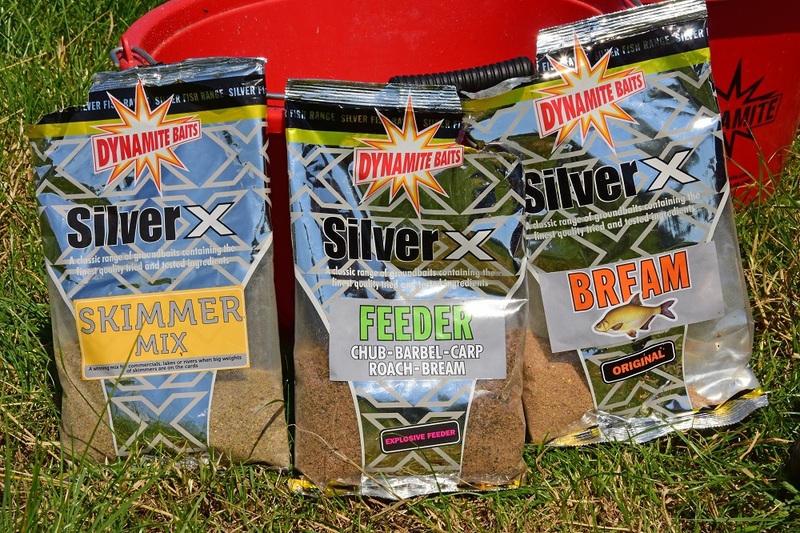 This comprised of a mixture of Silver X Skimmer Mix, Feeder and Bream Original. These were combined in equal parts. 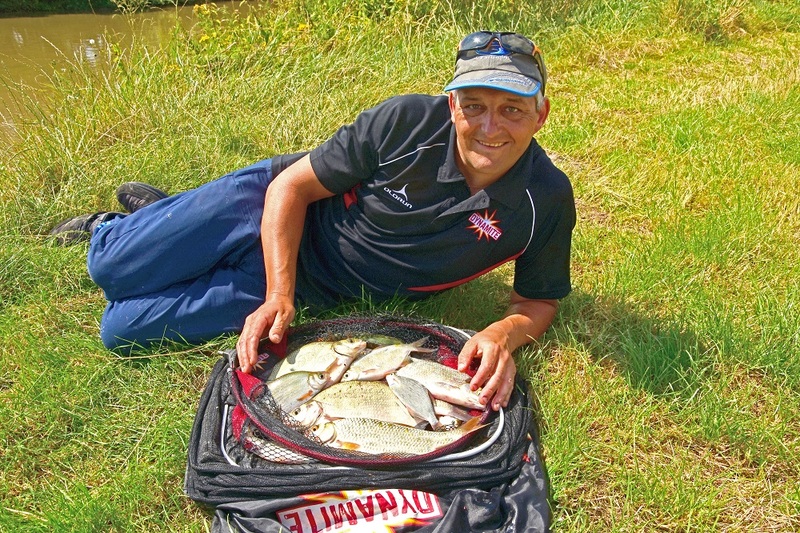 Of course, you could fish only one but Ian prefers this combination because he feels that addition of the Bream gives the Skimmer Mix more ‘body’ and ‘depth’. The Feeder is added due to it high levels of crushed hemp. 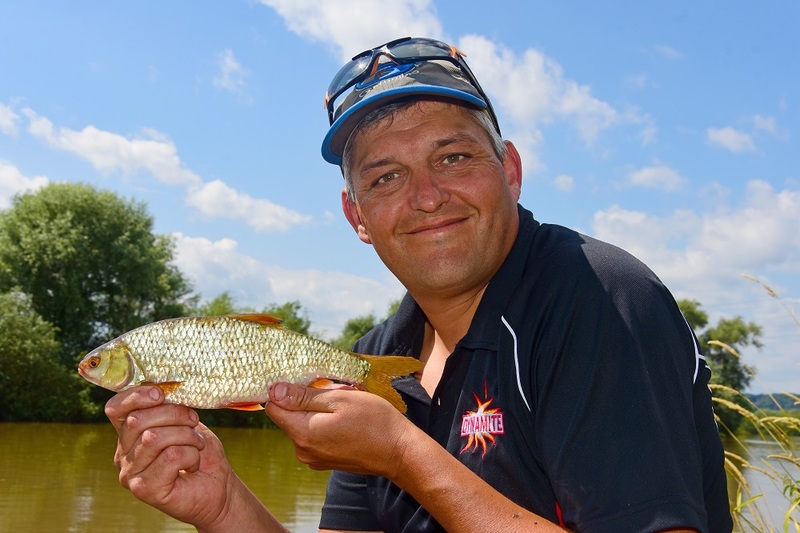 “If you were to target just the bream, if they are not in your swim you risk a dry net, but by adding the Feeder groundbait, it opens up the mix to all the silverfish and the odd specimen too. I just find this combination works very well on the tidal.” As well as the ground-bait, Ian will sandwich loose-feed every cast. This again will depend upon what he is mostly catching. Things like chopped worm, with the addition of XL Liquid Worm is a proven bream attractor and will make up the bulk of his feed, although he will still feed corn and casters if the bigger bream show up, or he’s being smashed by small fish. By the end of the short session, even with Ian not having fished for a good hour, he still managed to put over 20lb of decent silverfish in the net, including a few very fine roach. Tidal rivers might fill you with apprehension at first glance, but like many things in life, if you are prepared to scratch a little deeper, you’ll discover a magical, fish-filled world.